Once the glue is dry you can add your snow to move in your globe. We used a mixture of white and silver glitter and iridescent snowflakes. Make sure you make a small pile in the center of your card. We used a mixture of white and silver glitter and iridescent snowflakes. 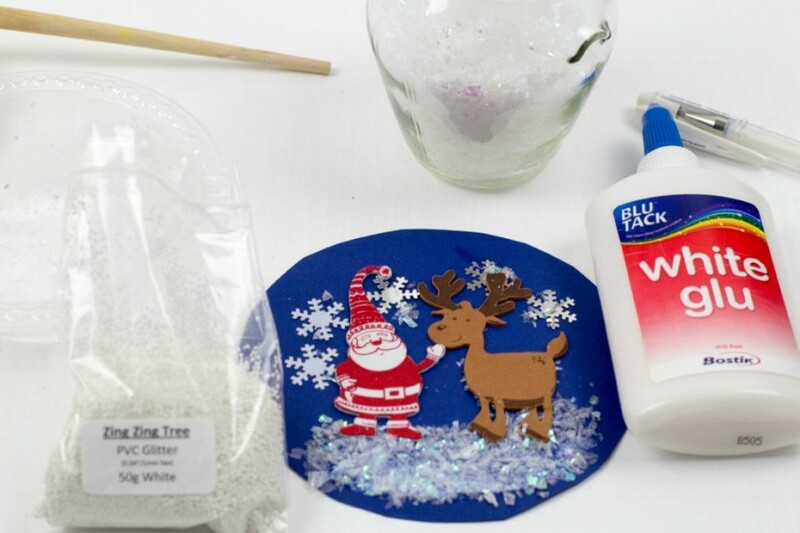 Turn a glass jar and some glitter into a magical snow globe! 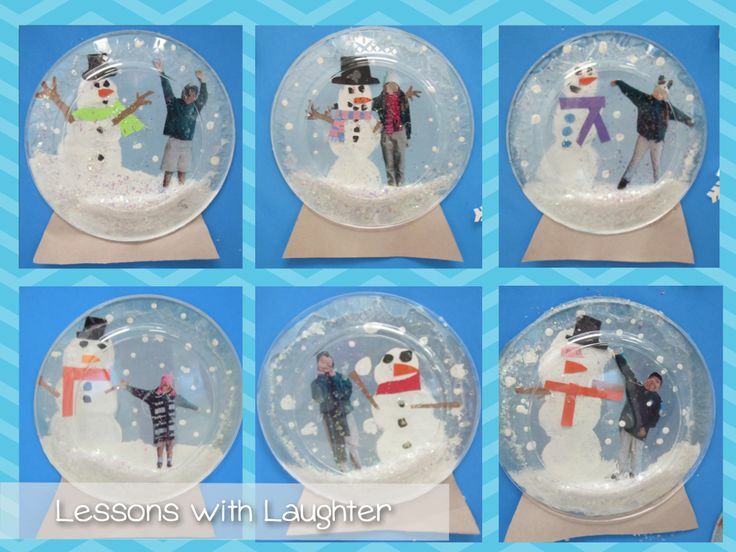 Once finished, the snow globes make great holiday decorations and work well as gifts for friends, family and teachers!